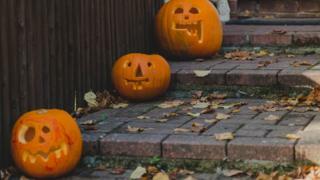 Halloween is coming, the creepiest date on the calendar when people around England celebrate all things spooky. You can find some inspiration for how to mark the season of the witch on our Pinterest board. If you're after some ghostly tales you can read about some of England's most famous spectres and and their favourite haunts. If you think Halloween is a purely American affair, this article might surprise you. If you're organising your own party we can help you out with make-up tips, spooky decorations and costumes. And if Halloween has you running for the hills how about this feature on some unusual figures you might spot in the English countryside. Why is Friday 13th considered bad luck? Are these the best Halloween costumes?